Available throughout the world, this legendary beer is one that every beer lover needs to try at least once. 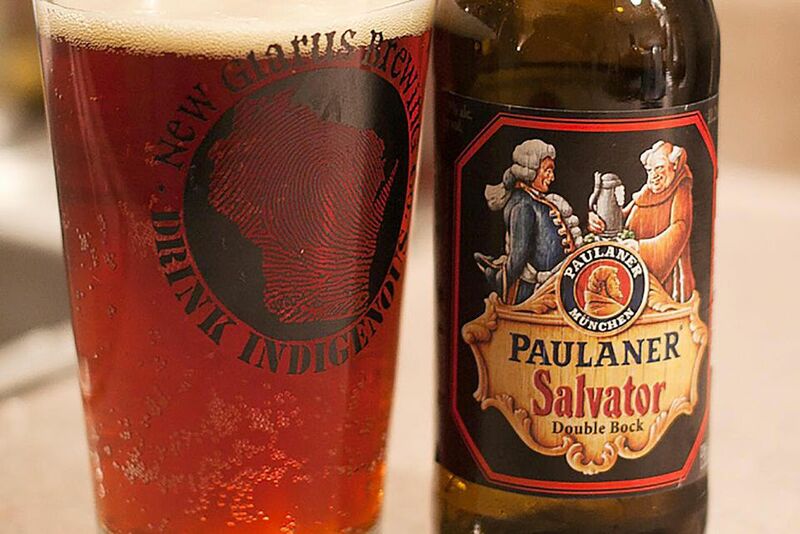 It can be definitively stated that you have not had Doppelbock until you've tasted Salvator. Germany is known as a leader in brewing beer, and Paulaner is known as one of the best breweries in Germany. It is only natural that this is home to one of the best beers in the world. Located in Munich, the Paulaner brewery officially started in 1634, and Salvator has always been the flagship beer. The story goes that the Paulaner Monks of the Neudeck Monastery were, like many in their day, very skilled at making beer. Their double bock was famously served instead of food during Lent and envied by commercial brewers in the area. The original Salvator recipe is still in use today, although a few refinements have been made over the years. Salvator has been revered as the king of Doppelbocks through almost four centuries. Though brewers continue to try to duplicate it, few have come close, and the brewery keeps its secrets very close to home. Even outside of its style, Salvator is considered one of the best beers in the world, often making it onto the list of "50 Best Beers." Paulaner's beer list includes Hefe-Weizen Natural Wheat, Original Munich Lager, Salvator Double Bock, Weizen-Radler Non-Alcoholic, and two Oktoberfest beers, Marzen and Wiesn. Paulaner is one of the six breweries invited to pour at the Munich Oktoberfest. Salvator is listed as the primary example of Doppelbock with the Beer Judge Certification Program. Paulaner's Hefe-Weizen Natural Wheat is the top-selling wheat beer in Germany. The Paulaner Bräuhaus is one of Munich's best beer halls. If any beer connoisseur travels to Germany, you can bet that this is on the agenda. Salvator pours with a medium butterscotch-colored head. The clear body is a deep amber, almost a chestnut brown. Its aroma is full of sweet toffee. The flavor is full of round flavors, most notably its signature chocolate with malt, caramel, bread, and hints of coffee. You may even detect light hops somewhere in the background. This beer is wonderfully complex and has a full mouthfeel. There is a hint of graininess in the finish with lingering toffee sweetness. The ideal temperature for serving Salvator is 48.2 F (9 C) and that recommendation comes directly from the brewer. Take it to heart, because a beer of this greatness deserves to be served with the greatest of care. Paulaner also suggests pairing it with a meal of roast duck and plums, and that doesn't sound like a bad idea, either. Doppelbock lager is brewed with Herkules, Tauras, and Hallertauer tradition hops using Munich and Pilsner malts. Brewed by Paulaner Brewery of Munich, Germany.